Today's photo comes to us from Matt Wiater and features 2 bottles of 1996 Bridgeport Old Knucklehead. That's some vintage beer! The oldest bottle in my cellar is from 2001. What's your oldest? Check out Matt's site, portlandbeer.org. Don't forget, I'll be posting 1 photo submission per day followed by a poll at end of the week to determine everyone's favorite. That photo will then be crowned Beertography of the Week. Would you like to have your photos featured on the site? Email your beertography to beertography@gmail.com or you can just tag your tweet with #beertography and/or mention me @beertography. We have a winner! 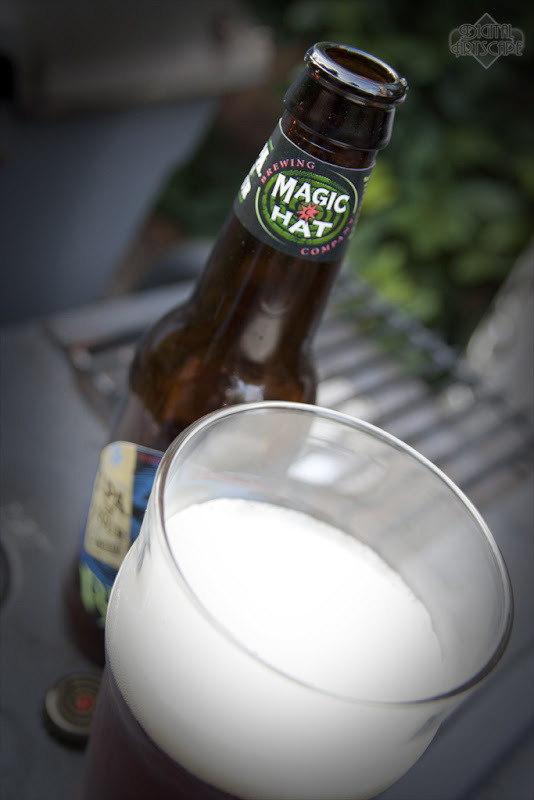 It may be a day late (thanks to Hurricane Irene I was stranded) but CONGRATS to Daryl Meek aka @Hepcat75 for his submission of "It's Magic" featuring Magic Hat Blind Faith. You can check out Daryl's photos on his website digitalartscape.com. Today's photo comes to us from Paul Robinson and features Steam Whistle Pilsner from Toronto, Canada! 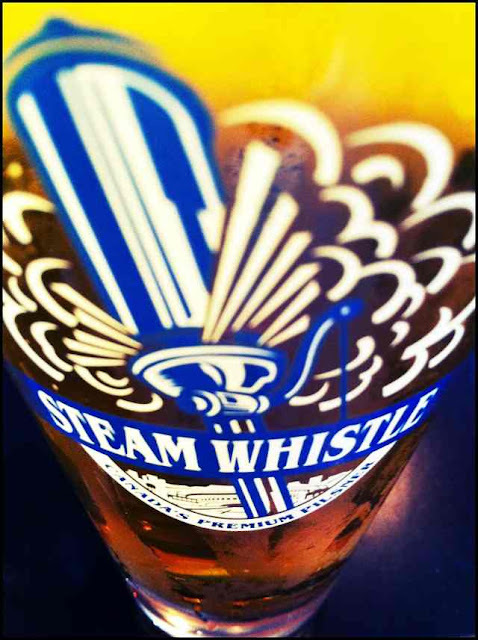 Steam Whistle Pilsner is characterized by a floral hop aroma, sweet graininess with distinctive grassy notes, and balanced by a clean, crisp finish and pleasant lingering bitterness. When pouring this refreshing lager, expect soft, rising foam and a smooth drinking experience. Best stored and served between 4 and 8 degrees Celsius. BREWING METHOD USED: Decoction brewed following traditional European brewing standards. Long cold aging for 28 days. Naturally carbonated. Not heat pasteurized. Cold sterile and micro filtered for lasting shelf life. You can check out Paul's photos on Flickr. 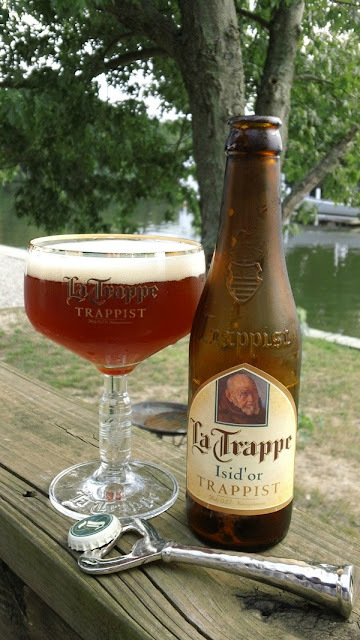 Today's photo comes to us from Eric San Juan and features La Trappe Isid'or from the Netherlands. Eric took this shot at a quiet spot on the Jersey Shore. You can check out Eric's blog at shoegaze99.blogspot.com/. We've joined forces with Mike of NewJerseyCraftBeer.com to bring you some New Jersey-centric Beertography! Head on over to NJCB and check out what's going on with our New Jersey Craft Beertography promotion. You could even win some prizes! 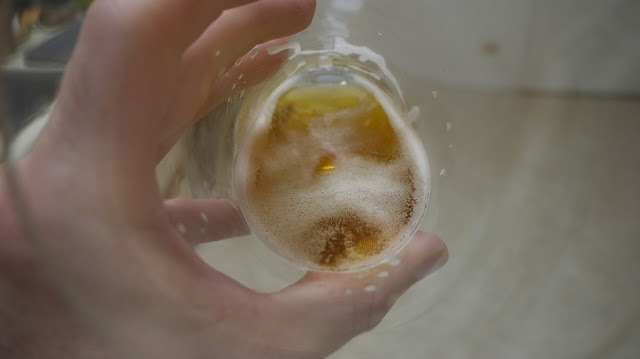 What Was Your Favorite Beertography Submission? It's votin' time! Here are the four selections from this week, and you decide who the winner will be. The polls will remain open until about 12:00pm Monday. Thanks to everyone for participating. 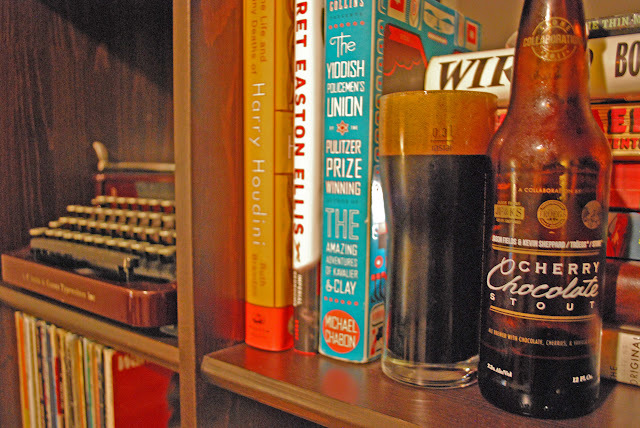 Today's photo comes to us from Josh Shaffer and features the newest Stone Collaboration, the Cherry Chocolate Stout, brewed with Troegs and homebrewers Jason Fields & Kevin Sheppard. Today's photo comes to us from frequent contributor Jesse Caldwell aka @jcshithead and features New Holland Farmhouse Hatter Belgian IPA from Barcade Jersey City's recent New Holland Night. We have a winner! 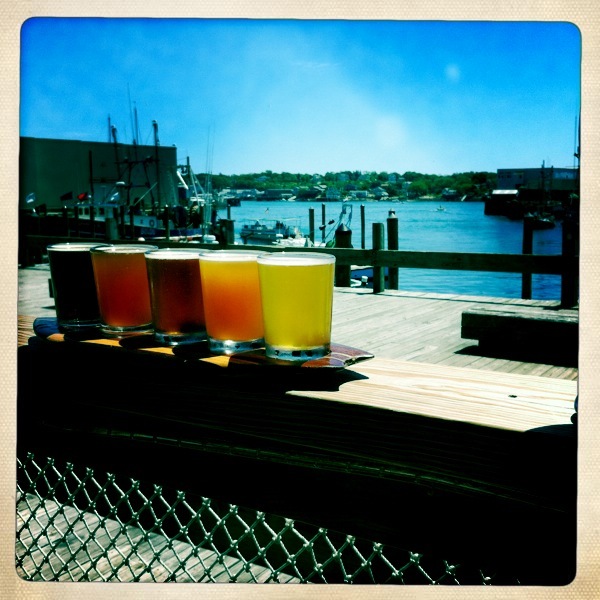 Congrats to Michelle Lamb of thetastinglife.com for their submission of a Cape Ann sampler. I don't know about you but it definitely made me want to go visit Cape Ann. Don't forget to follow Michelle on Twitter @michedmash. Submit your beertography to beertography@gmail.com or use the hashtag #beertography and/or mention me @beertography on twitter. 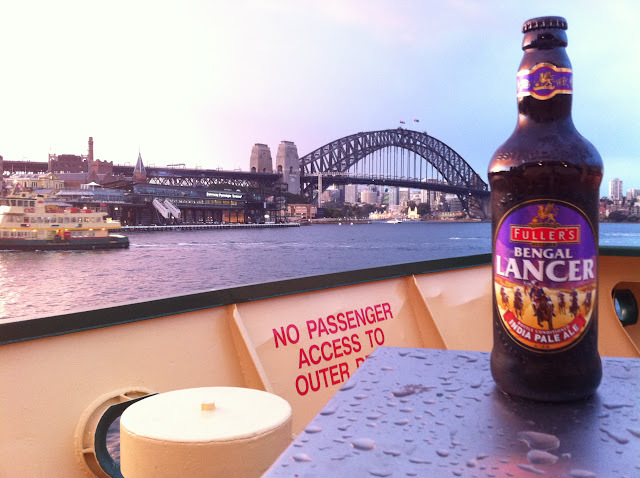 Today's photo comes to us from @backoftheferry and features Fuller's Bengal Lancer. You can check out the group's photos on their website backoftheferry.wordpress.com/. Blind Faith by Magic Hat. 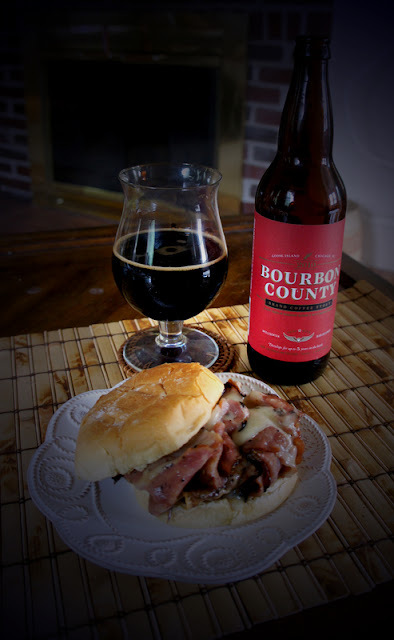 Because on a day like today, grillin' and beer go hand in hand. It's almost...magical. Here's a picture I took of the sampler tray at Cape Ann Brewing Company in Gloucester, MA. It's located right on the water and has a patio that is the perfect place to relax on a warm summer day. I'm not sure if you can tell, but the sampler was served on a little surfboard. Looks gooooooood. 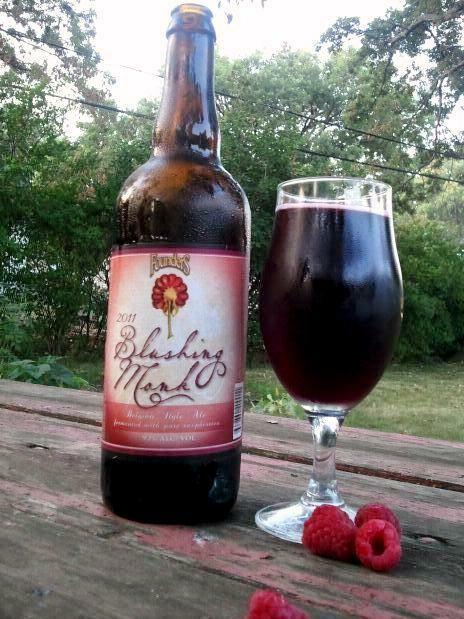 Make sure you check out Michelle's site The Tasting Life and follow her on Twitter @michedmash. In case you don't already know the drill, I select one beer photo per day Monday thru Thursday and then on Friday I open the polls for everyone to vote for their favorite. The winner is posted the following Monday. Don't forget to email your beertography to beertography@gmail.com or you can just tag your tweet with #beertography and/or mention me @beertography. Follow me on Google+ and Facebook as well. Went to Kreuz BBQ recently in Lockhart, TX and had a Shiner Bock to wash it all down. Not the best of all beers, but damn it goes great with old school Texas barbecue. Cheers! You can check out their other photos at youstayhoppyaustin.com and follow them on Twitter. You can check out Stephen and Scotty's other photography on Photobucket. On Google+? Follow me there. What about Facebook? Yup, there too! 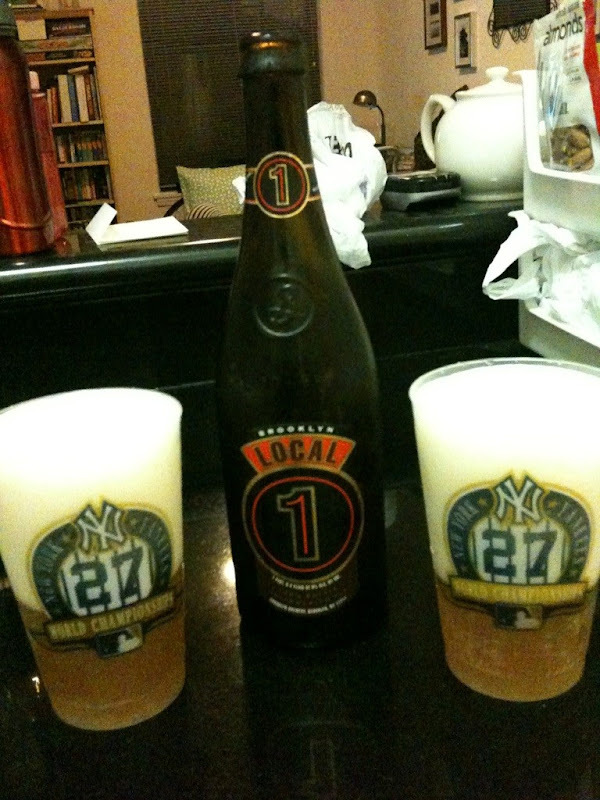 Tuesday's Beertography comes to us from @jaredww and shows off a little Yankees love to go along with some Brooklyn Brewery Local 1. You can check out Jared's blog at pleasegetbetteracl.com. Don't forget, I'll be posting 1 photo submission per day then at the end of the week we'll have a poll to determine everyone's favorite and that photo will be crowned Beertography of the Week. To submit your photo for consideration, email it to beertography@gmail.com or you can just tag your tweet with #beertography and/or mention me @beertography. This photo comes to us from Kevin Flowers and is entitled "Good to the Last Drop". You can check out Kevin's photos on his blog beeraucratic.com. 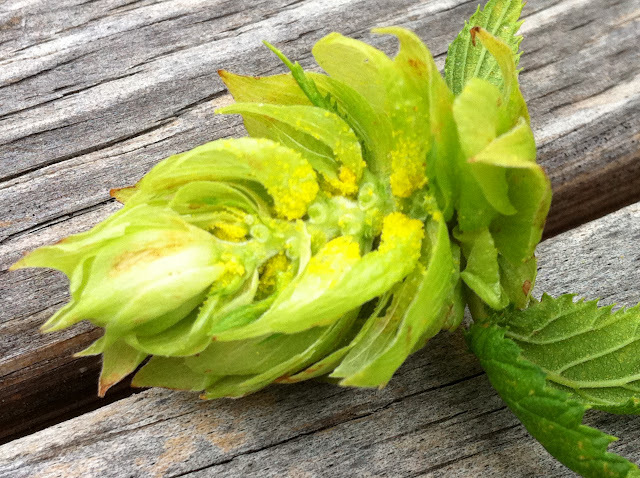 Which photo should be the Beertography of the Week? Its that time again. Yes, that's right, its time to vote! Here are the four selections from this week, now you have to pick your favorite. We've changed things up slightly for you slackers out there. The poll will now run from now until 12:00pm Monday afternoon. We'll announce the winner by Monday evening. Thanks to everyone for participating. So now we have our four selections for the week! Starting tomorrow morning, we'll open the polls to determine your favorite and that photo will be crowned Beertography of the Week on Monday. 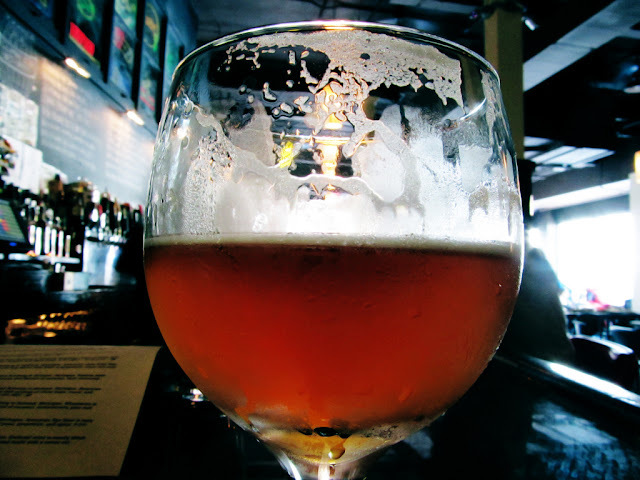 Today's Beertography comes to us from @beercycling and is titled "A Triple of Tripels". 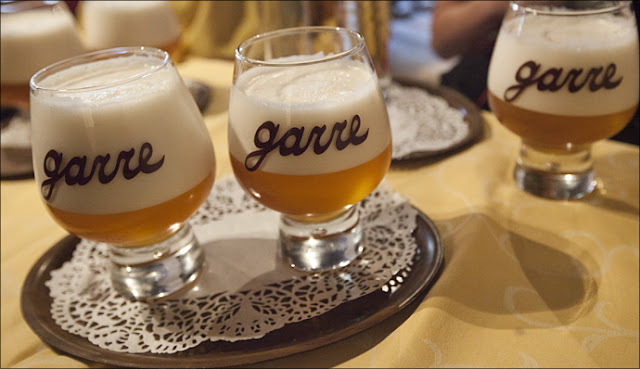 Beercycling says they enjoyed these 11.5% house Tripels at De Garre in Brugge. Sidenote: I want to go to Brugge. Check out more of their beertographic adventures on beercycling.com. Tuesday's Beertography features a photo of the elusive Founders Blushing Monk by Stephen V. and Scotty H. (Anyone want to send me a bottle of this?) You can check out their other photography on Photobucket. We have a winner! Congrats to Robin Piach for her win in last week's poll. Robin's photo entitled "A Blond in Heels at the Corner" featuring the Brasserie Blonde from Corner Brewery won over the most beer lovers. You can check out Robin's other photography on Facebook. This photo comes to us from Rachel Fine, taken at the rooftop bar/brewery known as La Birreria at Eataly in NYC. 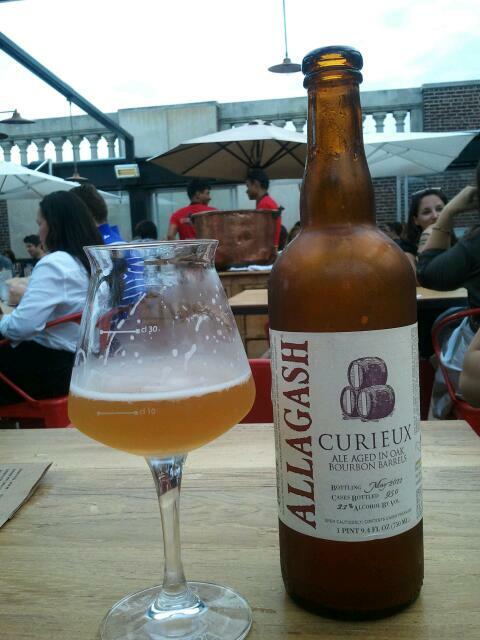 The beer featured is the wonderful Allagash Curieux. If you're a Howard Stern fan you probably know Rachel from her co-hosting of The Bonus Show with Jon Hein on Howard TV. Rachel is also a great singer, you can check out her stuff on her website. WHICH PHOTO WAS BEERTOGRAPHY OF THE WEEK? The time has come! Yes, that's right, its time to vote! Here are the four selections from this week, now you have to pick your favorite. The poll will run from now through 11:59pm Sunday Night. We'll announce the winner Monday. Thanks to everyone for participating. 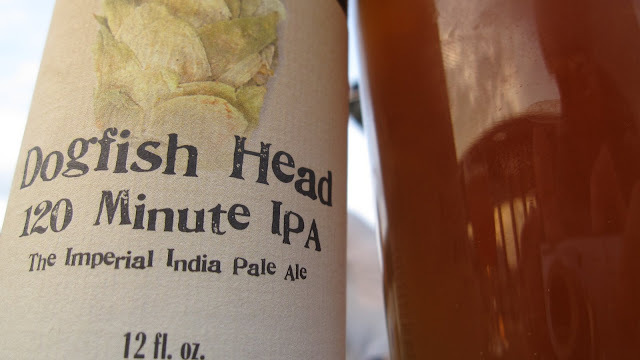 To celebrate, here's a photo of an IPA that's waiting for me in my fridge right now (and shouldn't be opened AFTER getting home from the bar tonight). Share your IPA tweets & photos today with both #beertography AND #IPADay. Oh and make sure to check in to your IPA on Untappd to get the badge! 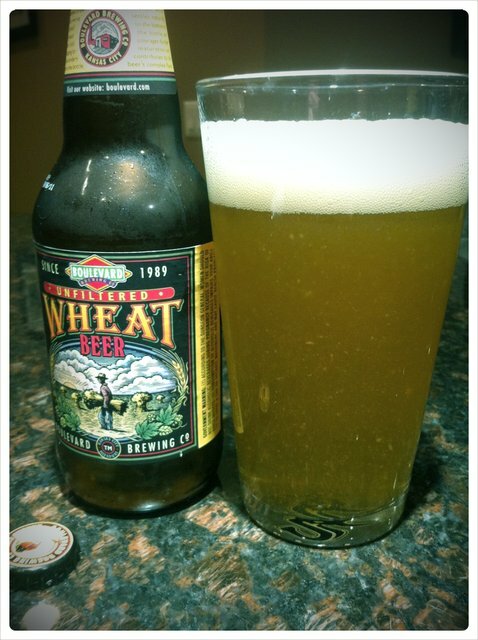 Today's Beertography is entitled "Mmm...floaters" and comes to us from @irishillini via Twitter. Check out more of her photos on her blog, Beer + Running = Happiness. So now we have our four selections for the week! Some great stuff here, its gonna be a close one. Starting tomorrow morning, we'll open the polls to determine your favorite and that photo will be crowned Beertography of the Week on Monday. 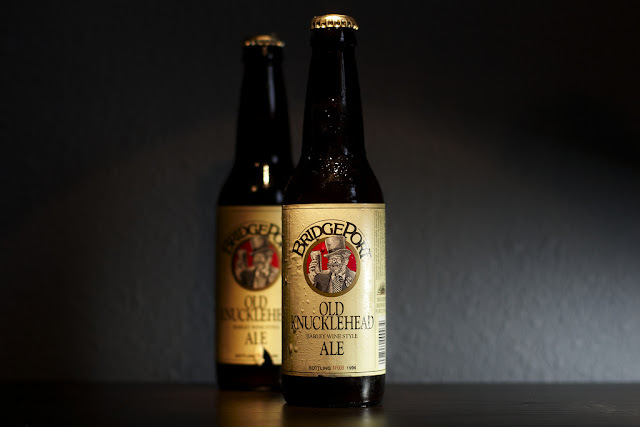 Today's Beertography comes to us from John "Sussy" Suscovich aka The Foodcyclist. You may remember John from my interview with him just before he and his wife set out on their gargantuan journey. His photo was submitted from his stop at Schlafly Tap Room in St. Louis, MO. Yes, they've already made it to Missouri! That alone is already beyond impressive, but check out their website to see how much further they have to go. We have a winner! Congrats to Chetan Desai for his win in last week's poll. 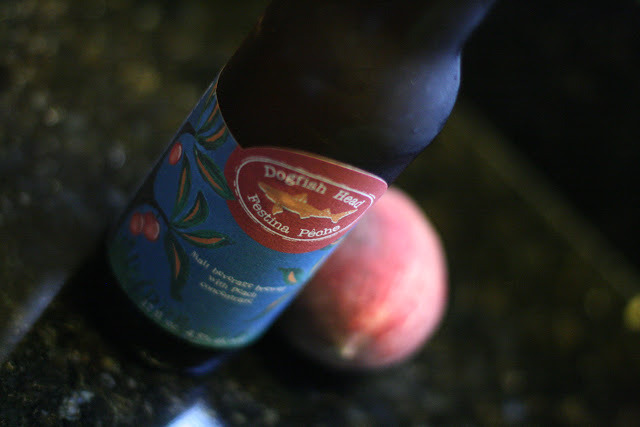 Chet's photo of Dogfish Head Festina Peche took the cake with over 60 votes. You can check out Chet's other photography on his Flickr. 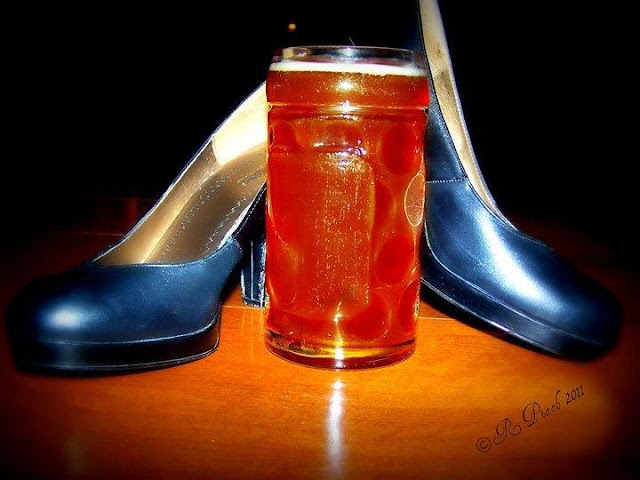 "A Blond in Heels at the Corner" by Robin Piach, taken at the Corner Brewery in Ypsilanti, Michigan. The beer featured is their Brasserie Blonde. You can check out Robin's other photography on Facebook.